Dominic pushes Lulu away because he loves her. After overhearing a private conversation, Dominic jumps to the wrong conclusion that Sonny killed Claudia. Dominic continues to feel conflicted about taking Sonny down after he sees the caring side of Sonny. Ronnie informs Dominic they have enough evidence to put Sonny behind bars, but Dominic is unsure about using Michael’s testimony to do it. Johnny warns Lulu and Dominic the fallout from this could be severe for a lot of people. Dominic wanting to keep Lulu safe, he begins to push her away. The two of them face a difficult decision about their future once the truth comes out about who Dominic is and he takes down Sonny. Lulu admits to Maxie that she loves Dominic, while Dominic confesses to Johnny he loves Lulu. Jason’s guilt of bringing Franco into the lives of those he loves creates problems for him doing his job. Spinelli tells Jason the hair found at the cabin belongs to Sonny. Sonny believes Jason is too rattled to do his job and can no longer trust his judgment. 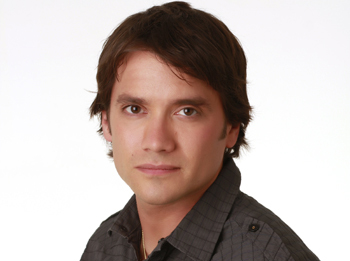 Sonny wanting to implicate Franco in Claudia’s murder brings caution from Jason. Lucky decides he’s too close and removes himself from Claudia’s murder case and warns Jason that Maxie saw Sonny the night Claudia was murdered. Jason encourages Maxie to lie to the police so she doesn’t bring suspicion on Michael. Nikolas and Elizabeth make love and agree this was their final goodbye. A devastated Lucky returns home and starts destroying everything. Nikolas wanting to leave town, Lucky convinces him to stay. Lucky, distraught about the situation begins to drink at the Haunted Star. He later confesses to Lulu he’s fallen off the wagon. Lulu tells Nikolas and Elizabeth about Lucky drowning his pain in alcohol and how she believes it’s because of the two of them. Lucky makes apologies to Luke for his behavior. Luke admits to Tracy he’s afraid his son is turning out just like his father. Lucky confronts Nikolas and Elizabeth about sleeping together. Patrick makes it clear to Lisa he’s faithful to Robin. Carly asks Lulu and Jason to be Josslyn’s godparents. Jason is reluctant but Carly refuses to take no for an answer. Kristina turns to Sam for advice about Kiefer and Sam becomes concerned for her little sister. Memories come back when Patrick and Lisa tend to a couple involved in an accident. Edward drops a bombshell on Monica and Tracy. Carly invites the Quartermaine family to Josslyn’s christening. Michael is furious when he learns his father wants to turn the business over to Dominic when he decides to retire. Michael accuses Dominic of taking what is rightfully his. Michael remains hurt and angry over his father’s decision and then overhears a conversation between Johnny and Dominic. Ronnie tells Dominic they now have enough evidence to bring Sonny down on Monday, January 18. Jason cautions Sonny not to try and implicate Franco in Claudia’s murder for fear he’ll expose the incriminating photos he has of Michael on Tuesday, January 19. Kristina turns to Sam for advice about Kiefer on Wednesday, January 20. Michael goes ballistic when he learns Sonny wants to turn the business over to Dominic when he decides to retire on Thursday, January 21. Lucky confronts Nikolas and Elizabeth about sleeping together on Friday, January 22.